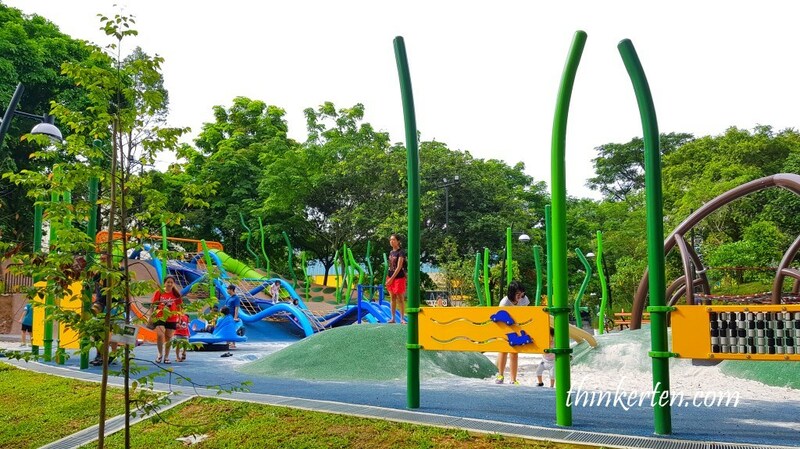 Admiralty Park located at Woodlands has plenty of exciting play equipment for family bonding time in the great outdoor! 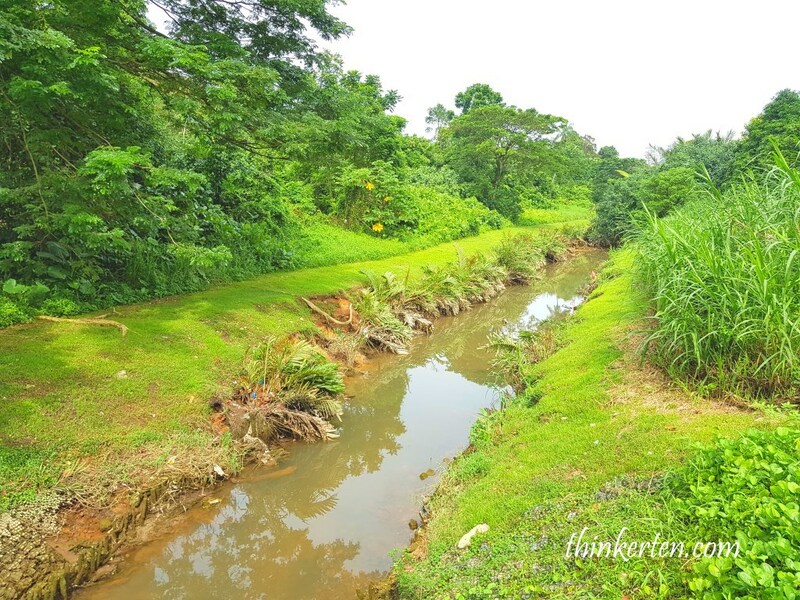 The most likable are the slopes/slide and hillocks. 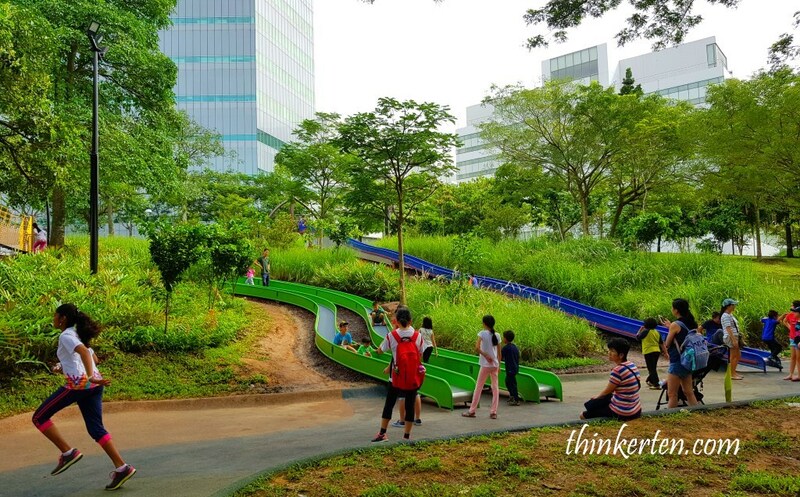 It has 26 slides, the most number of slides in any park in Singapore! 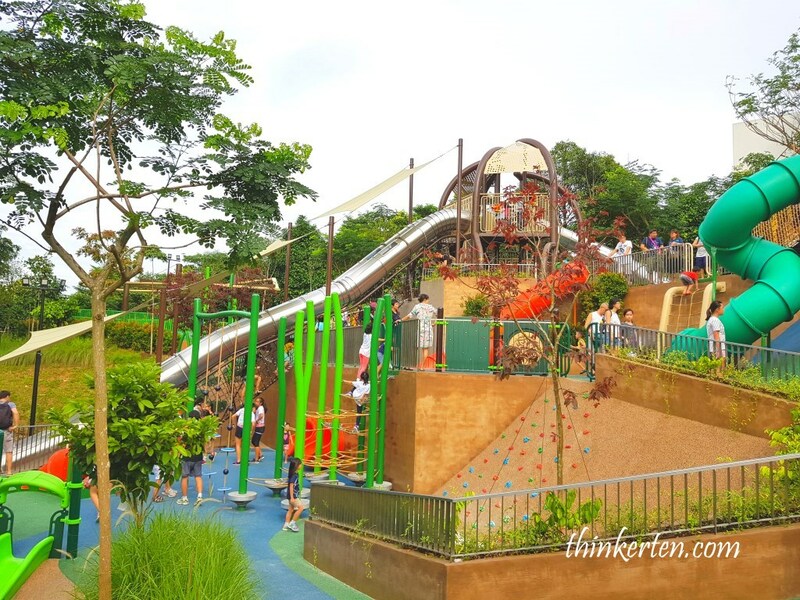 The park is 27 ha but 7 ha was dedicated to the play area and mostly are different type of slides. 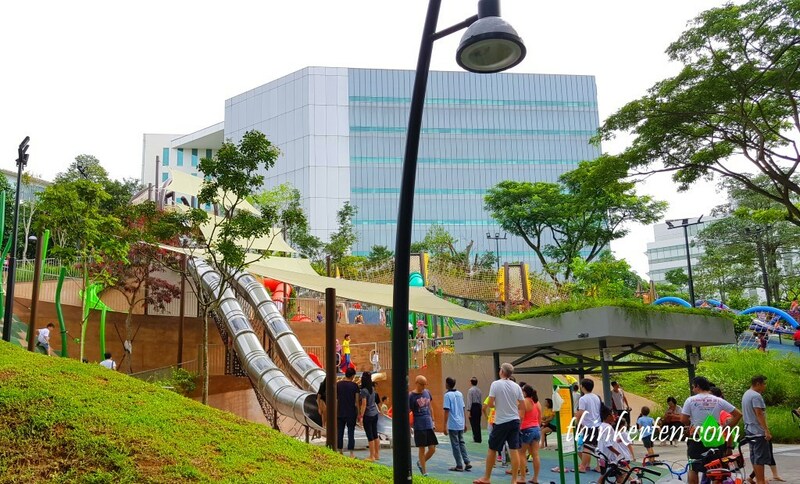 The Iconic Metal Tube Slide – The Tallest! This metal tube is the tallest tube slide in a public park, at 23m long and 9m high which is about 3 to 4 storey high. Children can climb all the way up the slide using the net climber in between. Climb up like a “spiderman” and slide down like a “superman”! One of the highlight in this park is the 34 m open slide, the longest in the park. 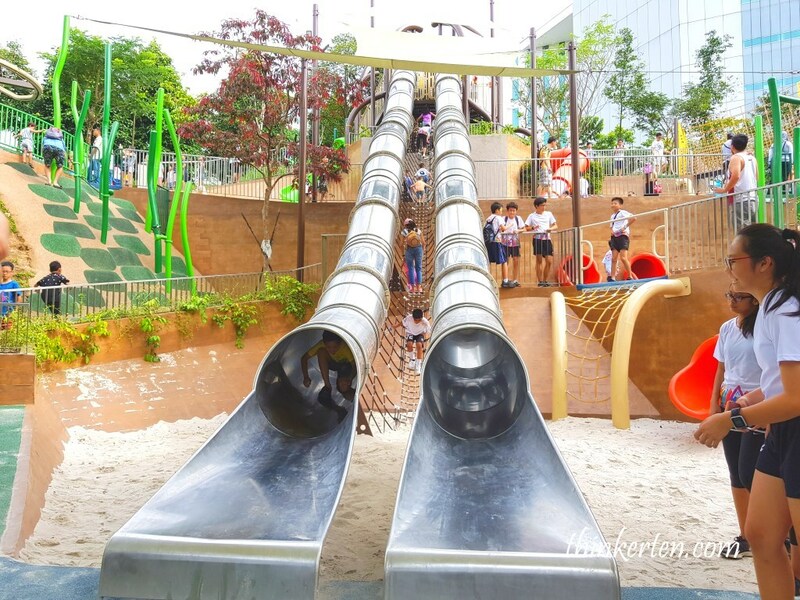 Parent can accompany their child, sit behind the child and slide down together in this slide. Adult too can have fun here! 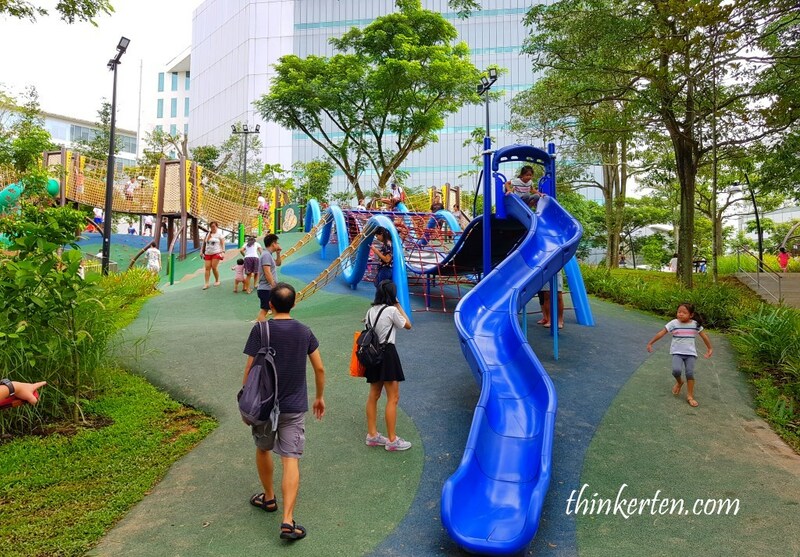 This park is meant for everyone, adult too can enjoy some of the slide here! 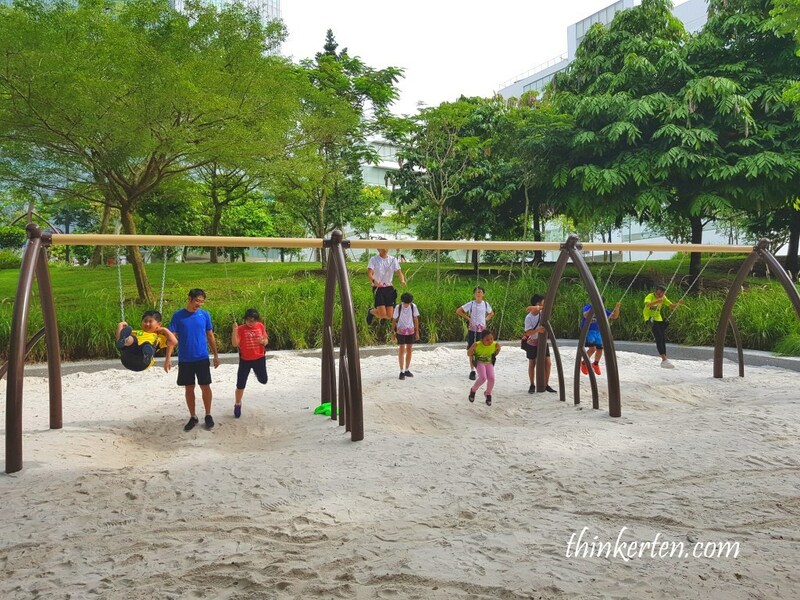 Even Minister Lawrence Wong has tried some of the slides during the opening ceremony. 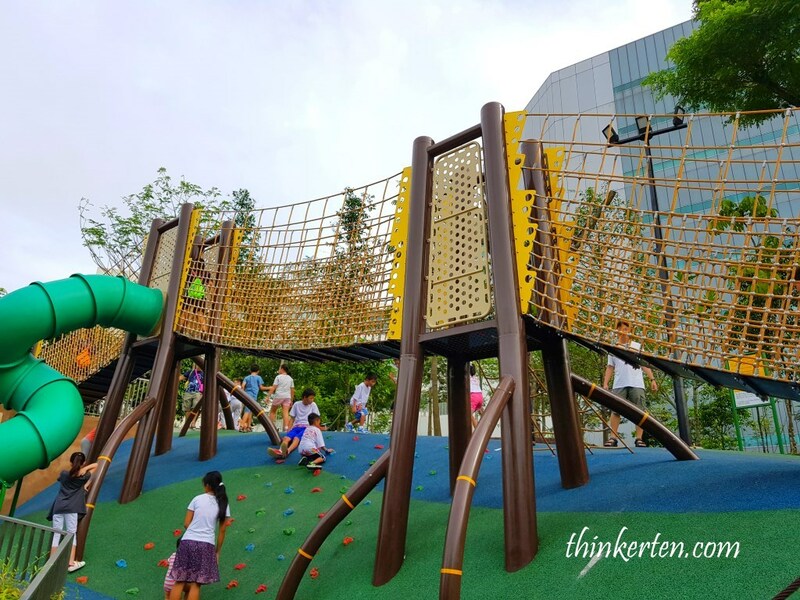 There are three main play areas: Junior Play, Adventure Play and Family Terracing Play. 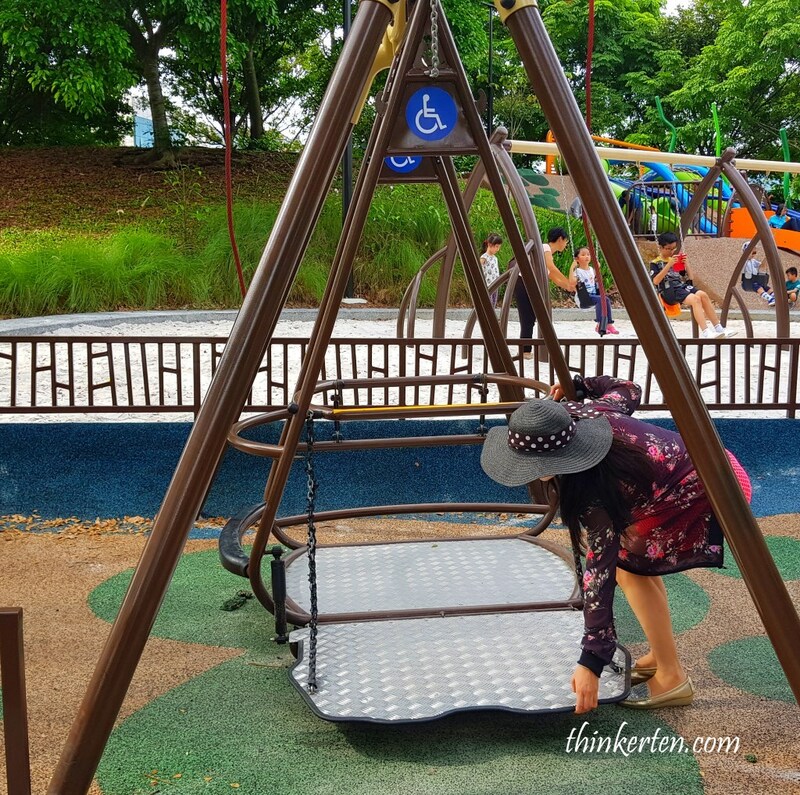 Children with special needs also get to enjoy equally in the playground. There is a special swing for wheel chair users. 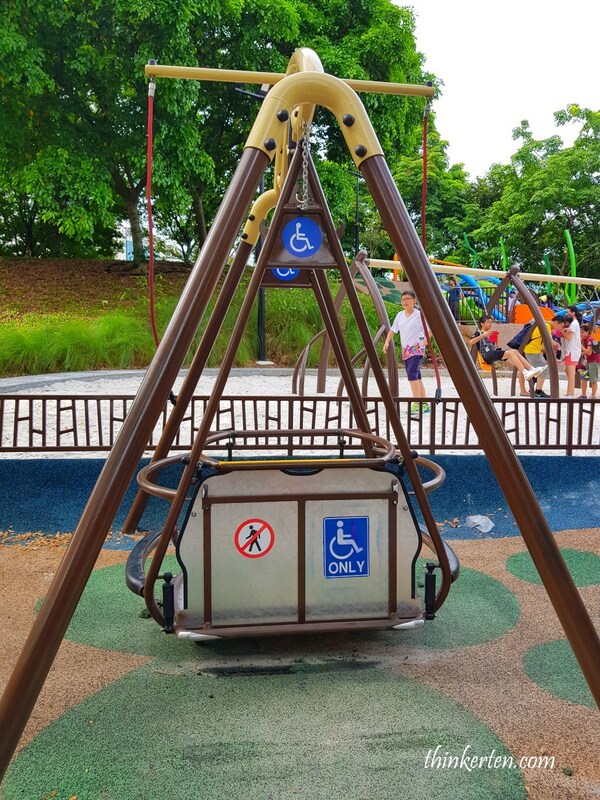 Children with or without disabilities can play together, that is a great thing offer in this park! There is a Japanese fusion buffet at the Park, the Sakura! 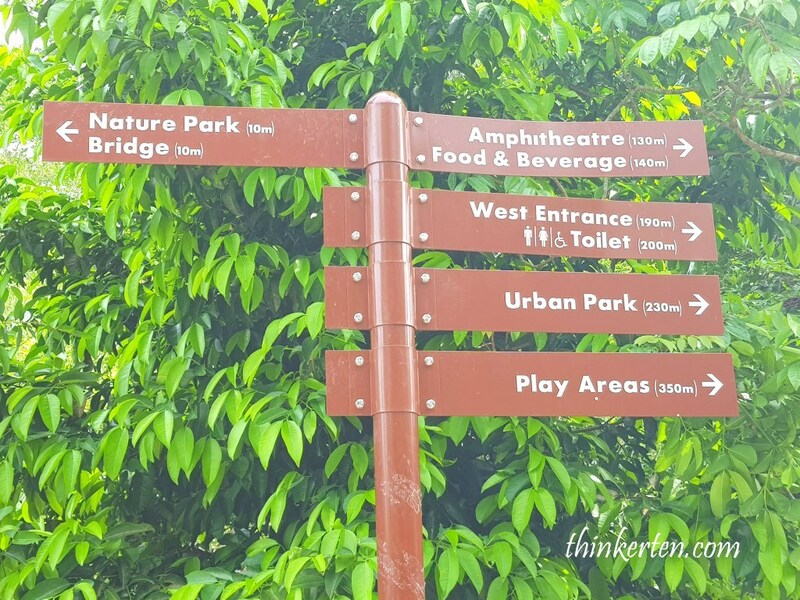 If you are hungry after exploring the park, you can always indulge in all you can eat sushi & sahimi or other international cuisine, such as western grill & BBQ, Italian spaghetti & piszza, Chinese zhi char/stir fry! 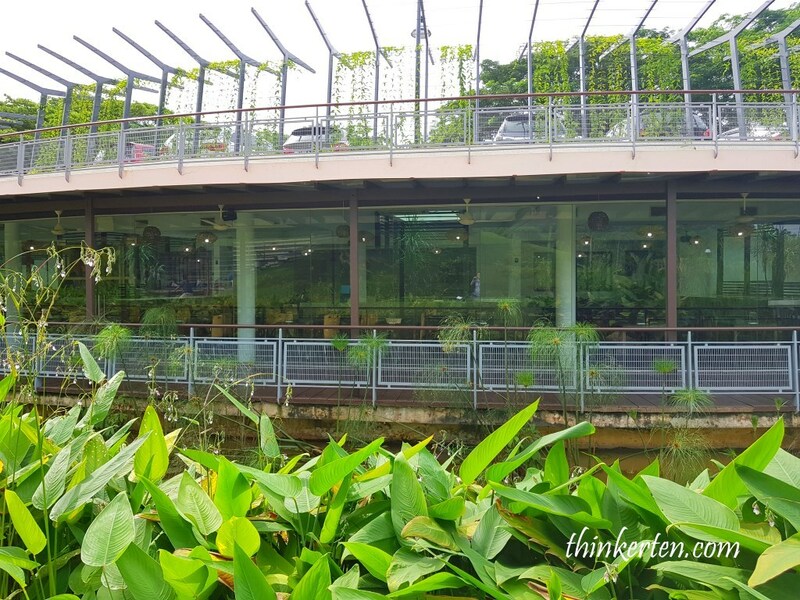 The restaurant offer a pond view too! 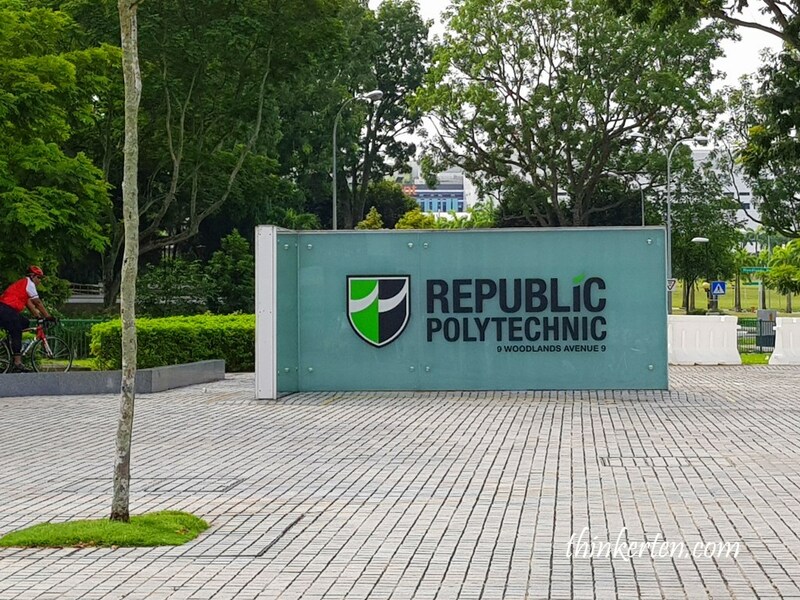 An outdoor stage, open air is ideal for community gathering. I saw a group of young teens were playing game and having so much fun at the stage. 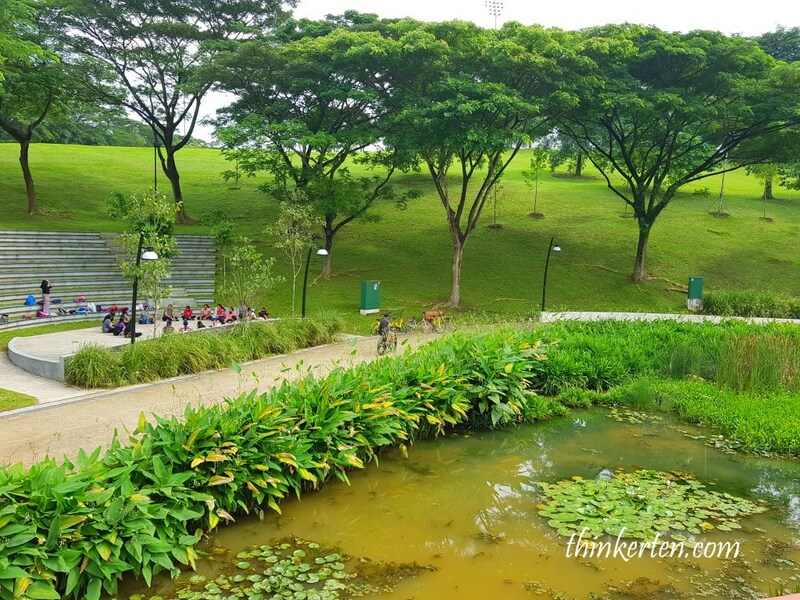 Admiralty Park also comprises a nature area which open in December, yes this month! 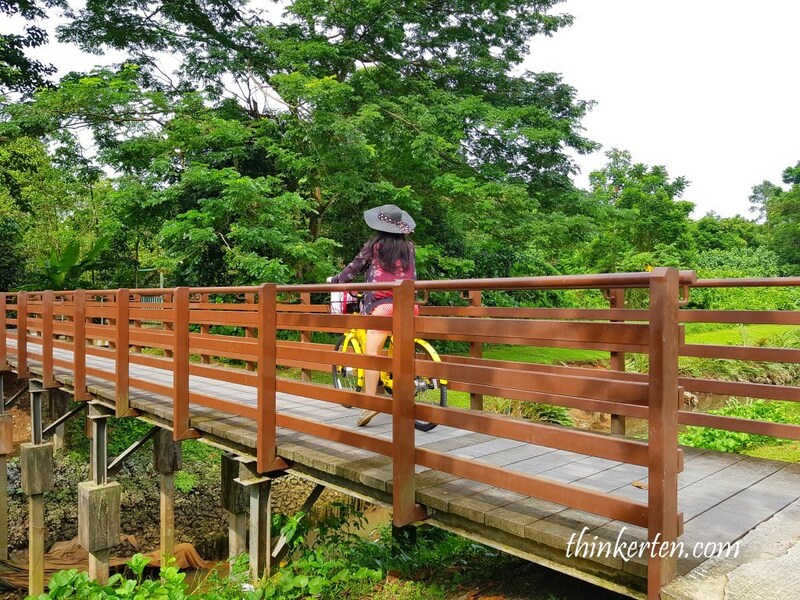 The nature area has a mangrove boardwalk and viewing platform. Video taken by my nephew, a bit shaky but you still able to see his experience in the tunnels.